Pacific Place shopping mall, located above the Admiralty MTR station. Home to over 140 high-end shops and restaurants, Pacific Place also boasts its 'beauty gallery'. 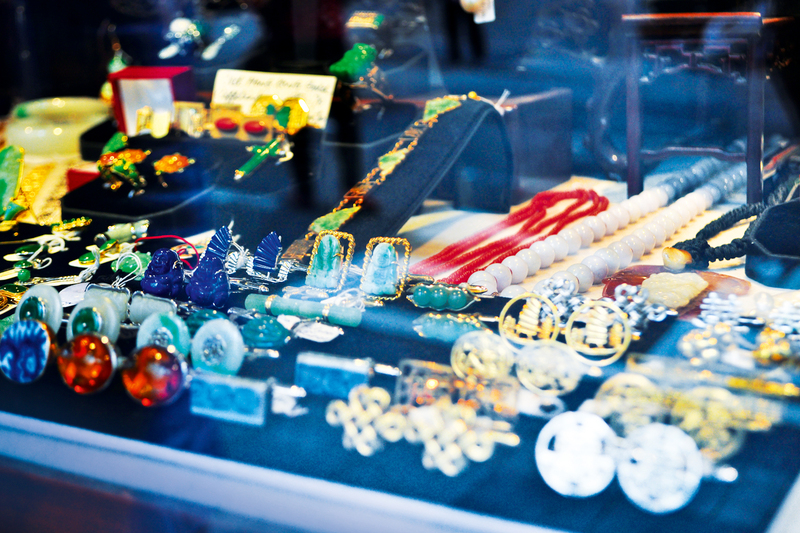 Jewellery, antiques and ceramics are among the gems you can expect to pick up on boutique-lined Hollywood Road. Mong Kok Flower Mark on the Kowloon side of Hong Kong. Mong Kok Markets, where you can find the Ladies Market, Goldfish Market, Sneaker Street and the Flower Market. 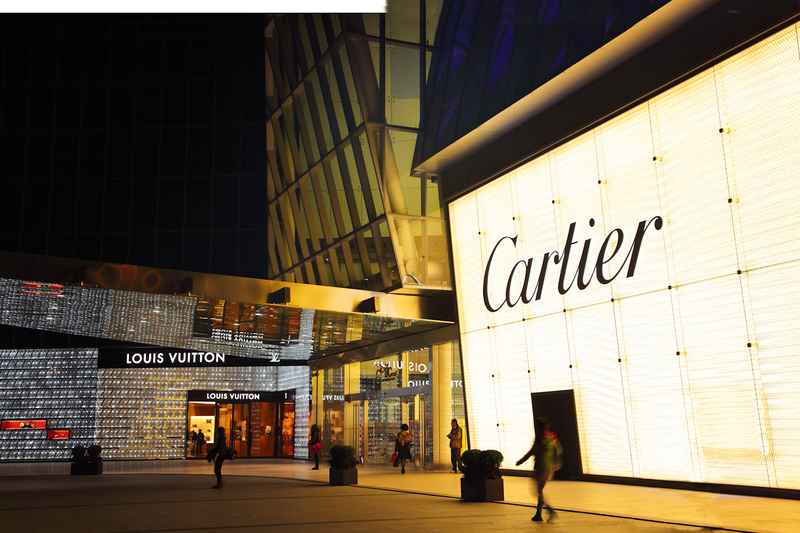 Famed IFC Mall, with over 200 high-end, glittering shops. There’s no shortage of places to indulge in some retail therapy in China’s ‘world city’ – the hardest part is knowing which shopping precinct to trawl through first, says Alissa Jenkins. Ah, Hong Kong, the Achilles heel of shopaholics; the promised-land for retail-starved travellers; a world-class workout for the ol’ plastic. HK (or Honkers) is home to a litany of malls and markets, showrooms and stands. Indeed it is this never-ending supply of vendors coupled with a good exchange rate, which qualifies the city for the title of shopping capital of the world. “HK is especially popular for Chinese mainlanders as the tax is much lower here,” says Paul Stanton, a HK local and the guest liaison manager at the renowned Upper House Hotel, where he’s regularly quizzed on local shopping haunts. Adding to Hong Kong’s appeal as somewhat of a retail nirvana is its landscape: just over 1000 square-kilometres in size (and home to more than seven million people), its buzzing streets are squeezed between the iconic Victoria Harbour and Victoria Peak – a 400-metre-high mountain, popular among tourists for its panoramic views. 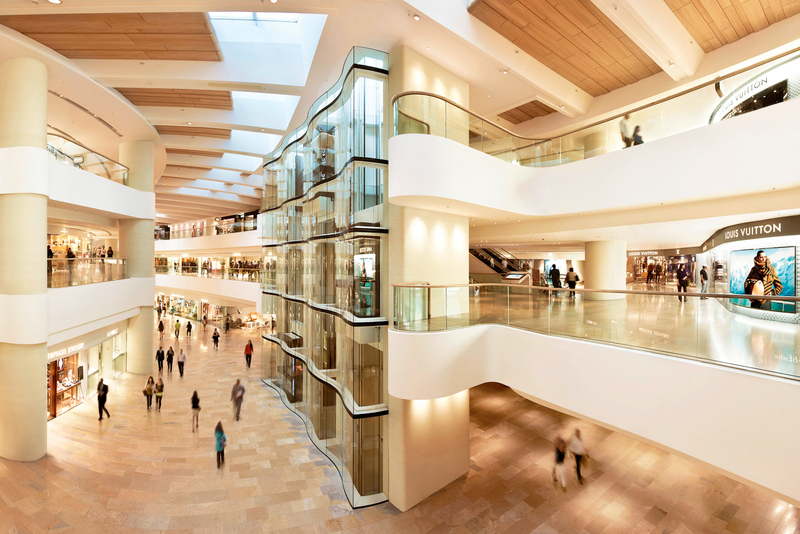 For shoppers, this means you needn’t travel far from one shiny skyscraper housing countless tiers of high-fashion showrooms and luxury cosmetics to the next. “It is a very concentrated area for people to shop, they can find designer brands such as Gucci and Yves Saint Laurent to Joyce and Lane Crawford all under one roof,” adds Stanton. So, the question begs, just where to start? Get your wallet and walking shoes ready. Here we reveal just that. The Pradas, Fendis and La Prairies of the world can all be found in three major shopping destinations on Hong Kong Island – Pacific Place, the IFC Mall and Fashion Walk (although there are many more to scope out). First stop is Pacific Place located above the Admiralty MTR station. Nestled amongst office towers and swanky hotels, Pacific Place is home to over 140 shops and restaurants, as well as luxury apartments and five-star hotels, including the renowned Upper House, all owned by property juggernaut Swire. While there’s no shortage of clothing outlets, Pacific’s specialty is its ‘beauty gallery’ with all the Jurlique and Jo Malone goodness your skin could hope for. There’s also an Yves Saint Laurent stand-alone boutique, which was the world’s first. While there, check out Shanghai Tang, a high-end local clothing line with the most sumptuous silk print scarves that warrant the $200-plus price tag. Further west in the city’s Central district is The Landmark, a stronghold of upmarket malls with the pièce de résistance, the IFC (International Finance Centre) Mall. Inside is layer upon layer of glittering glass-panelled stores – over 200 in fact – from Nine West and Zara at the more affordable end of the spectrum to Cartier and Ermenegildo Zegna at the ‘if you have to ask, you can’t afford it’ end. And lending a more lifestyle feel to the place, there’s also an Apple store, a cinema, a gym and a supermarket. And if you’re really committed to the IFC experience, you can stay at the adjoining Four Seasons Hotel, boasting both Chinese and western Michelin-starred fare. Finally we move onto Causeway Bay and its largest outdoor shopping plaza, Fashion Walk. With a distinctly European feel, Fashion Walk centres round a leafy promenade lined with specialty stores, including Vivienne Westwood and Japan’s Tsumori Chisato. Almost as good as the shopping is the dining, with alfresco cafés and restaurants dotted along this popular stretch – come on Friday evenings to enjoy the live music performances. Honourable mention also needs to go to the nearby Times Square, one of Hong Kong’s first mega-malls, with 16 floors of all the usual high-end suspects: Tiffany & Co., Chanel, Coach and the like. Moving away from the glitz and glamour of the city’s big-name malls, there are plenty of more bespoke offerings, specialty boutiques, antique stores and art galleries. Among the better-known haunts is Hollywood Road, stretching between Central and Sheung Wan on Hong Kong Island. This was the second road to be built when the colony of Hong Kong was founded, so don’t be surprised to find some especially British street names here like the intersecting Old Bailey Road. Hollywood Road’s forte is its antique stores, stocking expensive porcelain ware and Ming dynasty ceramics to Chinese furniture and kitsch Maoist memorabilia. Even if you’re not in the market for antiques, it’s still worth a look as many of these shops could double as mini museums. While you’re there, have a look in Goods of Desire (G.O.D), a funky local homeware, giftware and clothing retailer with eight stores across the city. Think east-meets-west design with a dash of quirk. Neighbouring Hollywood Road is one of the city’s hottest up-and-coming shopping destinations, Sheung Wan. Start at Upper Lascar Row (known as Cat Street), where you can peruse antique shops and pick up goodies like Ming dynasty furniture and jade jewellery. Afterwards, mosey down the road to Gough Street, where trendy new boutiques and restaurants are springing up, attracting a wave of the young, cool and moneyed. Among our favourites is Moustache for seriously chic menswear and Organic Modernism, the HK outpost of the hip Brooklyn-based furniture store. However, no visit to Sheung Wan is complete without having a look around the handicraft shops at the Western Market, buzzing inside an Edwardian-style mall. Wander just west of here for street markets filled with seafood, soups and tonics, especially around Ko Shing Street, where you can see ancient Chinese medicine in action. Back at the nexus of Sheung Wan and Hollywood Road is another area called SoHo, full of buzzing bars and slick restaurants (look up ChaChaWan), as well as more boutiques. Also in the Central area is the NYC-SoHo-esque Wan Chai StarStreet precinct, consisting of Sun, Star and Moon streets. Historically the site of Hong Kong’s first power station (from 1899 to 1922), the streets were apparently named after the three major elements that generate electricity. Today the neighbourhood is one of the city’s newest (but no less chic) shopping destinations best known for its stylish home design stores, but it also boasts an impressive collection of galleries, bars and flagship restaurants. While there, be sure to pop in to the Carven and Kapok boutiques, and keep an eye out for pop-up shops such as Anya Hindmarch. End your shopping expedition with a drink (or three) at nearby Ted’s Lookout, an intimate little bar tucked away on Moon Street. It’s cheeky and gritty with Banksy-esque graffiti, and a ‘hiding from wife’ telephone alongside a list of things to tell her when she asks where you are. The Prohibition-era cocktails ain’t bad either. Traditionally, the go-to market experience for tourists has been Stanley Markets, situated on Hong Kong Island’s south coast foreshore. A warren of stalls selling knick-knacks and souvenirs, some would say this huge market was at its peak some 20 years ago. Since then it’s been slowly erring more on the side of gimmicks than genuine keepsakes. 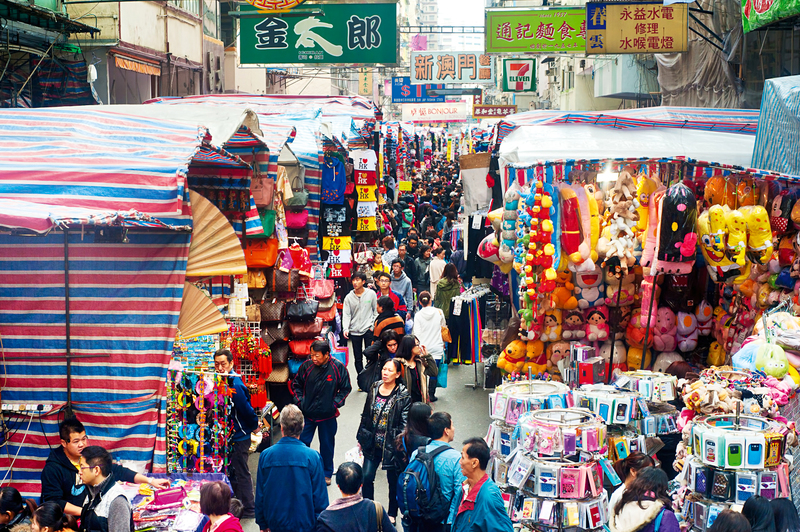 The best markets can be found off the island and on the Kowloon side of Hong Kong, particularly around the vibrant Mong Kok area. Here one of the best known shopping strips is the Ladies Market, a one-kilometre stretch down Tung Choi Street jam-packed with over 100 stalls of bargain clothing (*cough* counterfeit labels *cough*), cosmetics, accessories and souvenirs, all ready for you to fine tune your haggling skills on. And don’t be fooled by the name; there’s plenty here for fellas too from clothing to electronics, CDs and all sorts of trinkets. But it’s Kowloon’s themed streets that are really worth the visit: entire strips dedicated to selling the same product. In Mong Kok there’s the Goldfish Market on Tung Choi Street, with every goldfish variety imaginable on sale, as well as the odd seahorse and jellyfish. On Fa Yuen Street, the stretch between Argyle Street and Dundas Street has been dubbed Sneaker Street with just about every sports shoe under the sun. The Yuen Po Street Bird Garden may sound idyllic but it’s best to give this one a miss unless you fancy seeing great tropical birds trapped in undersized cages. 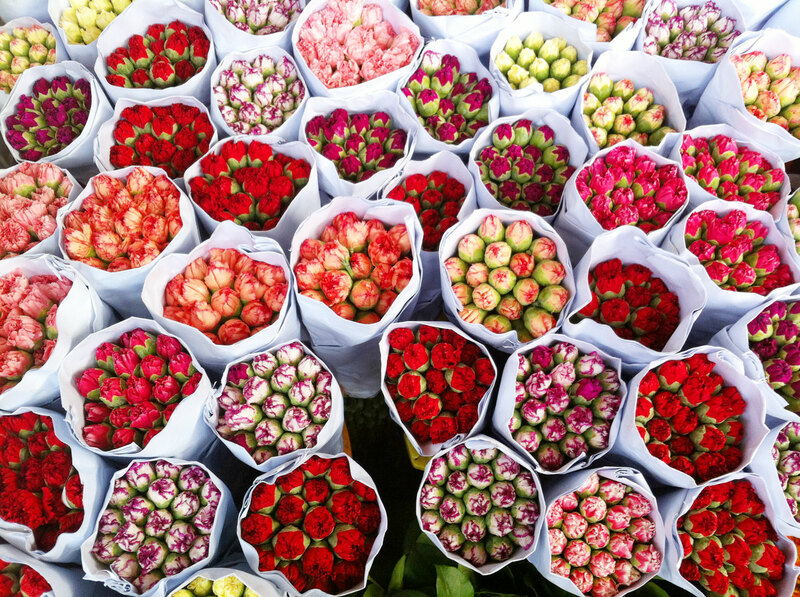 Instead, visit the nearby Mong Kok Flower Market, which colours Prince Edward Road West, Sai Yee Street and Yuen Po Street with stall after stall of blossoms and bouquets. While you probably won’t be taking these through customs, chances are your suitcase will already be bursting at the seams anyway. Cathay Pacific flies 74 times a week from Australia (Sydney, Melbourne, Adelaide, Perth, Cairns and Brisbane) direct to Hong Kong, and onto more than 190 destinations around the world. The gorgeously designed The Upper House is more a home than a hotel.